Meg Fay scored five goals in Stamford/Westhill/Staplesí 7-2 win over Greenwich Jan. 4. The Westport News Athletes of the Week for Jan 2-8. Accomplishment: Had a goal and three assists in Staples/Weston/Shelton's 8-4 win over NFA-St. Bernard-Bacon Jan. 4 and three goals in a 7-4 win over Wilton Jan. 8. 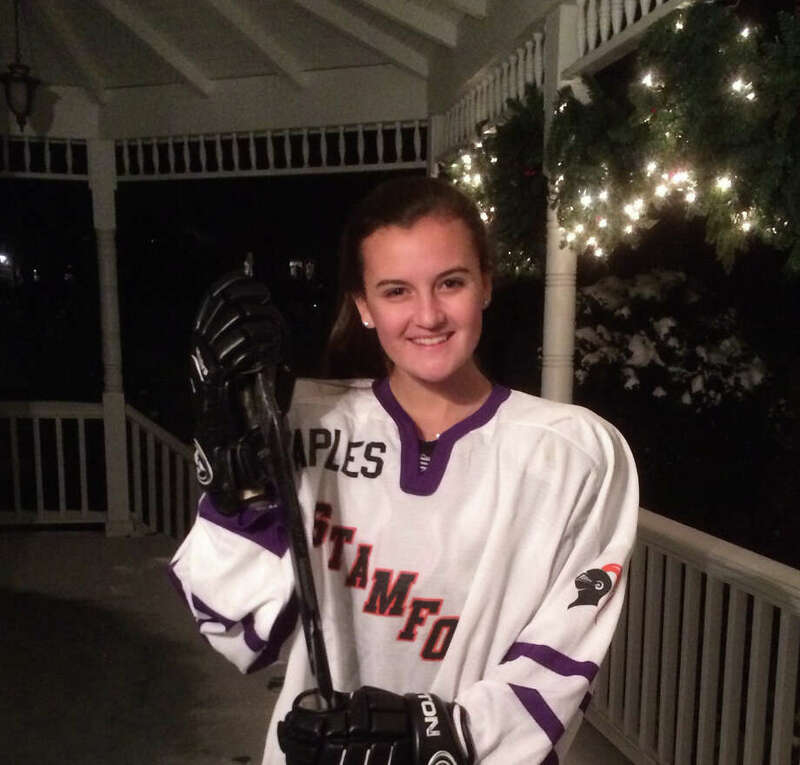 Accomplishment: Scored five goals in Stamford/Westhill/Staples' 7-2 win over Greenwich Jan. 4. The win over the Cardinals was the first in program history. Also scored a goal in a 7-2 defeat to Wilton Jan. 8.